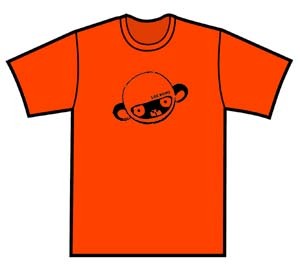 Very stylish alternative version of the new T-shirt from Chilean band 'Los Mono' featuring Monkey head from the very popular music video 'Promesas'. Now in Kids sizes!! Available in Womens S, M and Boys (Children sizes for ages 7-8, 9-11, and 12-13) and Mens Small.